Rona II, will visit five ports in four countries, and undertake two challenging races, making the 2019 Tall Ships Races one of the highlights of the Rona Sailing Project’s 2019 Programme. Rona II will depart Universal on June 20th and be delivered by the first delivery crew to Ijmuiden (North Holland, in the Netherlands) by the 27th. 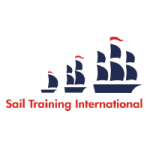 A second crew will then sail her from Ijmuiden to Aalborg by July 4th and hand her over to the first of the two race crews. 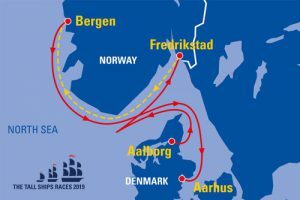 The first race crew will race from Aalborg, Denmark to Fredrikstad, Norway. Then, a stunning cruise-in-company along the coast of Norway to Bergen, with visits to waypoints on the Skagerrak and North Sea. 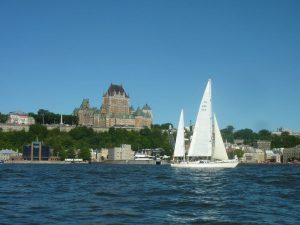 A second race crew will take over in Bergen and there will then be a nail-biting race back to Aarhus, Denmark. Rona II will depart Aarhus on August 2nd and be delivered to Dover by August 14th. 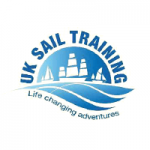 A final delivery crew will then sail her from Dover to our home base at Universal by August 21st. 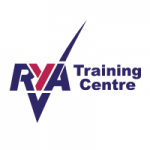 More details on Rona II’s programme for the Races can be found in the 2019 Calendar. Denmark has hosted the Tall Ships Races four times since 1999…this will be its fifth. Cultural Aalborg is the fourth most populous city in Denmark, and is located in the north of Jutland. Bergen is extremely proud of its status as a UNESCO World Heritage City. It boasts an enviable location surrounded by seven mountains, and has a positive reputation as a festival city. Bergen has hosted the Tall Ships Races four times previously… this will be its fifth. 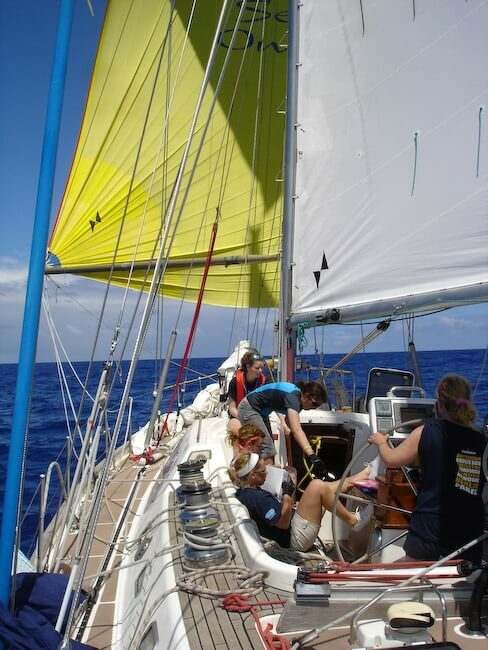 The ASTO small ships race was held on the first weekend of October 2018 and all four of the Rona Sailing Project yachts participated. The Crews were made up of Amory and Scott Award holders from the 2018 season. 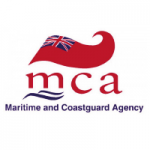 In 2017, four of the 22 vessels taking part over the weekend were from the Rona Sailing Project. They were crewed by 14-19 year old Scott and Amory Award holders from the 2017 season. Lady Shona, Merrilyn, Rona II and Donald Searle certainly were a force to be reckoned with. Jake Carter, who skippered Lady Shona, won the youngest skipper award. Merrilyn and Donald Searle, skippered by Jim Clarke and Steve Burgess respectively, both won third in their class. Merrilyn also got a prize for the youngest combined crew. Rona II, skippered by Bill Jermey, was not only 1st in class but was also the first boat home, winning line honours. Very many congratulations and well done to all the RSP crew and Afterguard, who did themselves and us very proud. 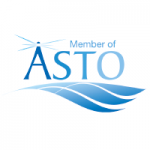 Thanks to ASTO for organising such a fantastic event and for their continued support for the Sail Training Organisations in the UK.